Landing Pages are highly crucial in any online marketing campaign. Tweaking it to the optimum level ensures the real success of the digital campaign. Landing Pages are created for fulfilling various marketing goals. Some of them include Product Sales Copy, Collecting Leads, Generating Opt-Ins, etc. 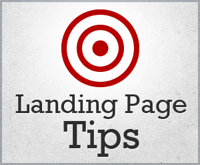 Primarily, Landing Page is the first page that a visitor lands on. The visitor can come from any traffic medium, such as – Email, Social, PPC or Organic Search. The design and layout of the landing page needs to be important. It must flow in with the rest of the site’s look and feel. Once we start receiving Search Engine traffic ranking high for the target keywords opens up the opportunities to get free search engine traffic. In this post, we will see how to optimize the landing pages to get better rankings in Google and Bing. First up, let’s get acquainted with the term “Landing Page”. A Landing Page is a single web page on which a visitor arrives after clicking on an advertisement or a link that directs to that page. Optimizing a landing page to get the right amount of SEO benefits is crucial for online marketing growth. Landing Pages are usually used in Affiliate Marketing, and Lead Generations. The power of the landing page depends upon the conversion rates obtained from it. The reason why most landing pages fail is because the creators completely forget to optimize them. In any generic online marketing campaign where a landing page is needed the webmaster has to keep track of what’s going on and monitor them when they are needed. 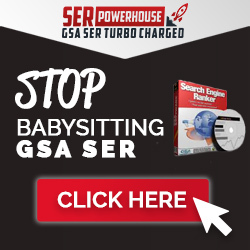 Not all landing pages are successful. Most online campaigns fail to look into the monitoring part. So right now we will be going through the various landing page optimization tips that will be helpful for your online ventures to keep visitors glued on to your web page rather than getting redirected to some other targeted content site. Optimizing your landing page is a constant process and must on its goals. A landing page without goals is practically nothing. 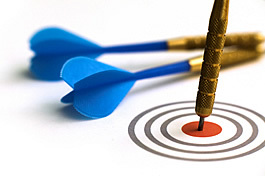 1) Careful Selection of Target Keywords – Target Keywords are the most important factor for any kind of SEO campaign. It is those keywords that can bring in landing page conversions. It acts like a booster for your online marketing campaigns. But imagine if you end up choosing the wrong set of keywords then no matter how hard you try you won’t succeed. Target keywords basically provide the basic search engine optimization framework from where your online marketing campaign gets its ground. The better the keywords the better will be the base. 2) Important Sales Information, Facts to be placed above the fold – Keeping important information near or above the fold helps attract more user attention. It is the best way to capture reader’s attention by placing enticing elements and then starting your content’s heading. 3) Insert Trust Elements – Inserting Trust elements increases landing page conversions. They also help in building visitors’ Trust. 4) Never Hide Anything – This is perhaps the most important tip from the Buyer’s point-of-view. Never hide any kind of Fees or Charges. Always remember, potential Buyers will always walk a mile extra to get their stuffs. These are the most important points to remember while Optimizing Landing Pages for better sales conversions. So the next time you’re creating a landing page keep in mind these essential landing page optimization tips.